The emergency number in Iceland is 112 and calls from tourists to that number are increasing. Some people call when their vehicles are stuck in snow and others call when they are driving in a storm and are too afraid to continue. This is reported by mbl.is today. 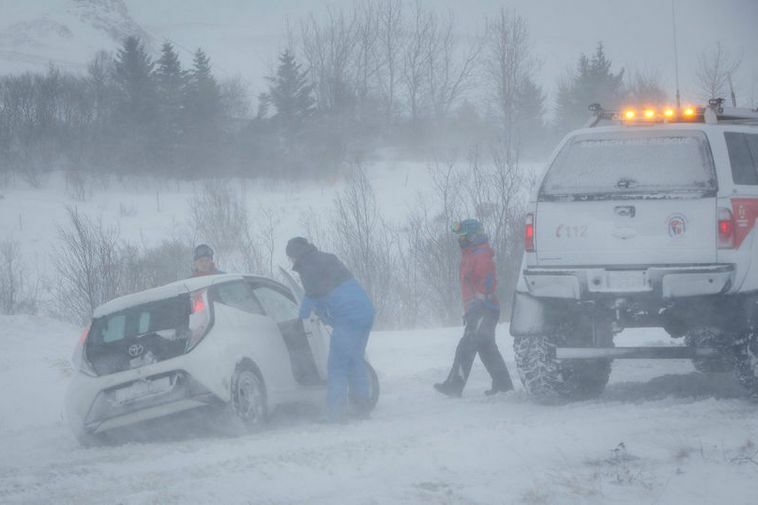 "This winter we have received numerous phonecalls from tourists stuck in snow. Most of them didn't even step out of their car or look for a shovel before calling us. They just want help. We also receive phonecalls from frightened tourists who just don't want to drive any more. When the visibility in a storm becomes very bad and they just get scared," says assistant manager of Neyðarlínan emergency call service, Tómas Gíslason. Last weekend calls made to Neyðarlínan 112 were 3.200 in total, from Icelanders and tourists.